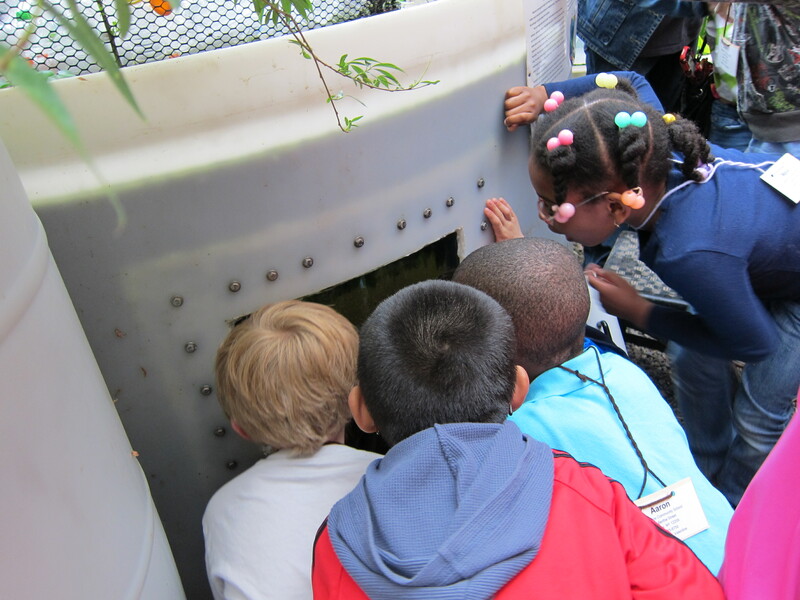 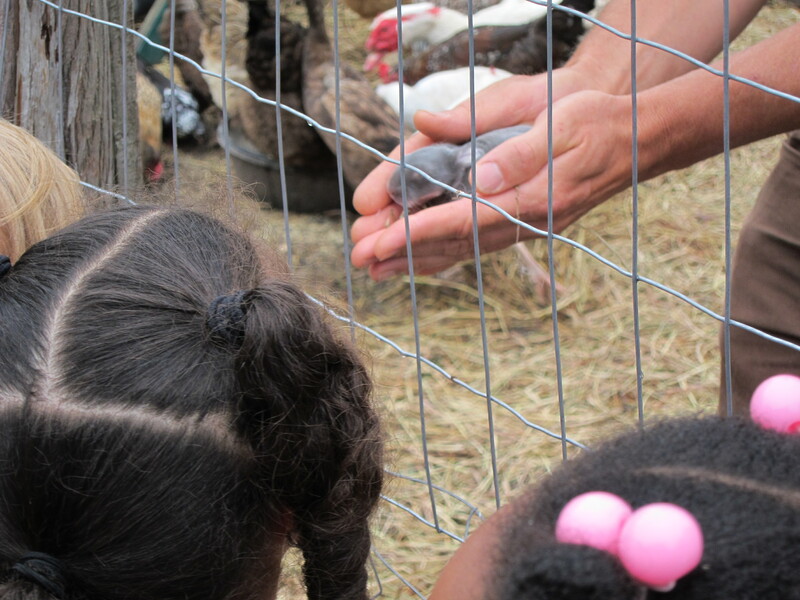 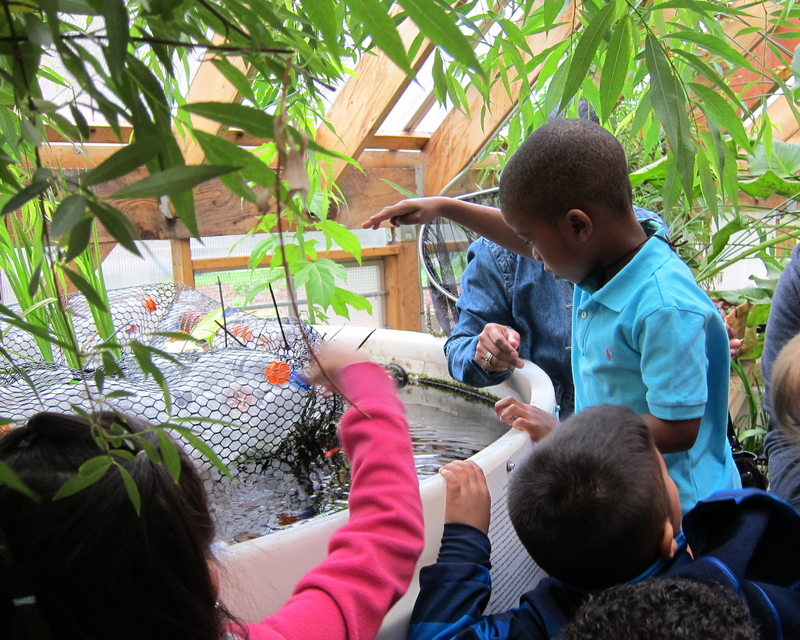 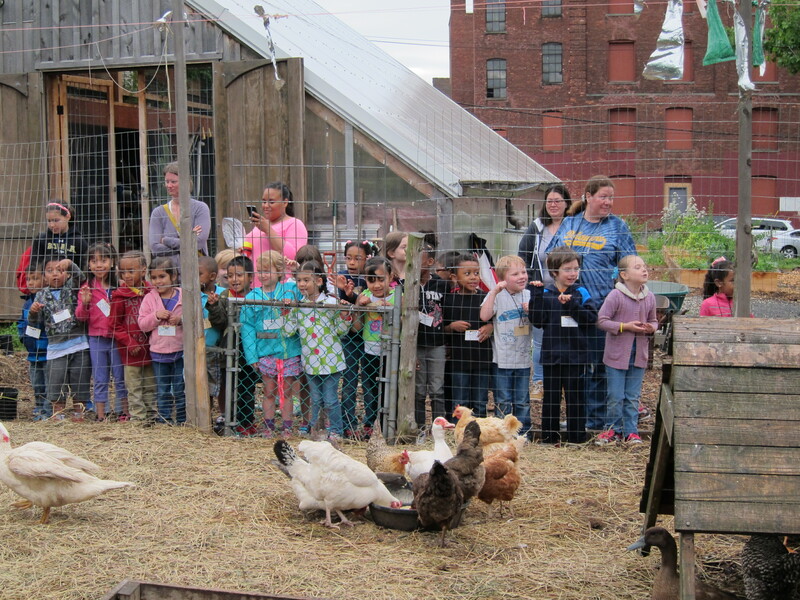 The dual language kindergarten class at Delaware Community School hatched eggs laid at Soul Fire Farm in an incubator in their classroom this spring. 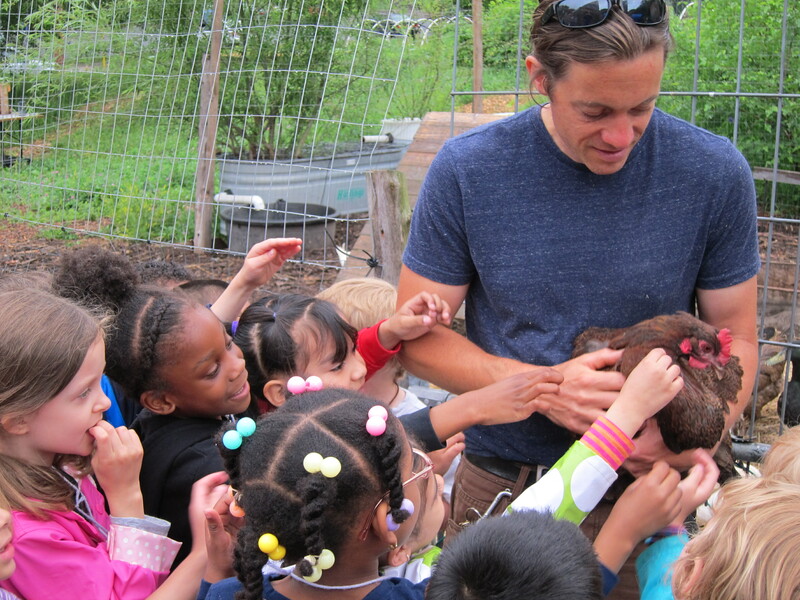 In June, the class came for a tour of Radix and delivered the chicks to us to raise. 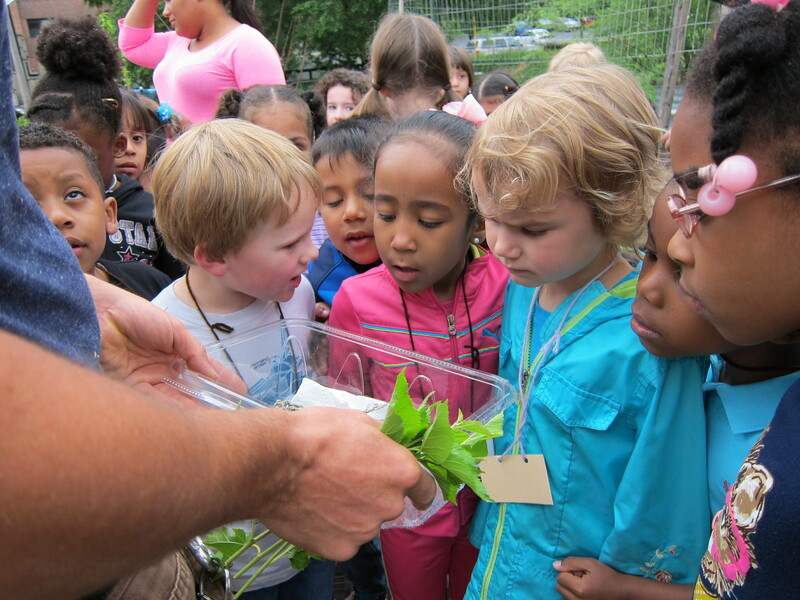 Showing silkworms, insects that eat only mulberry leaves and grow quickly into a source of edible protein for fish and chickens. 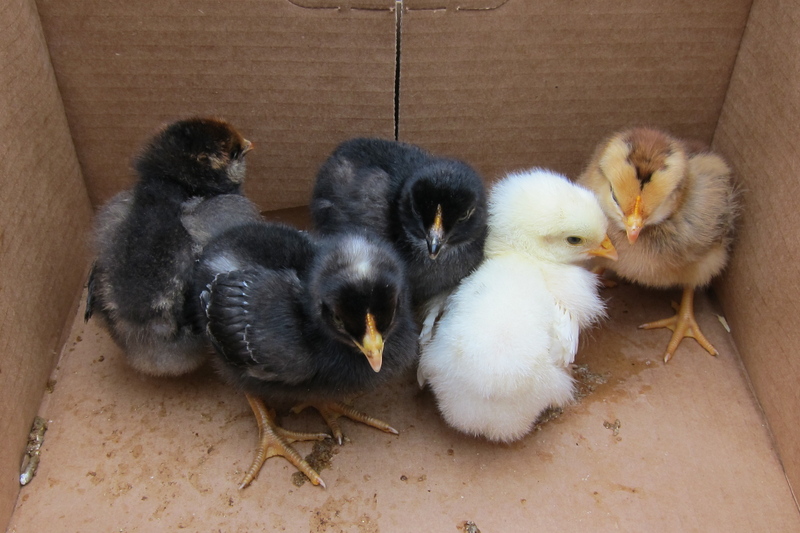 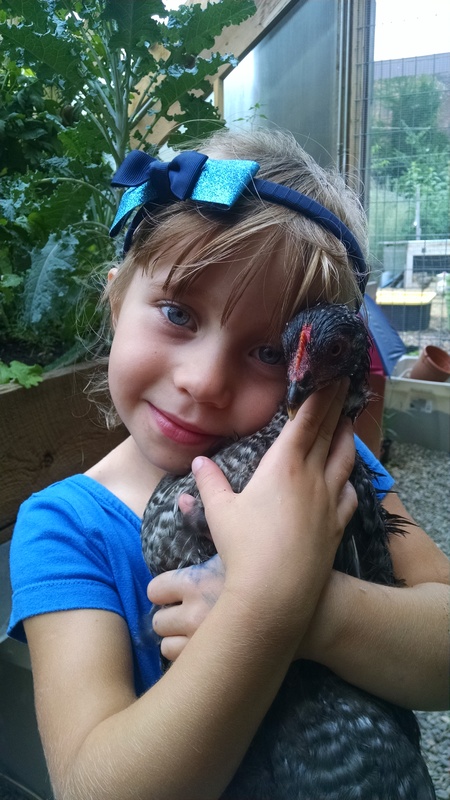 The chicks have have been well-handled and grew into friendly adolescent hens!